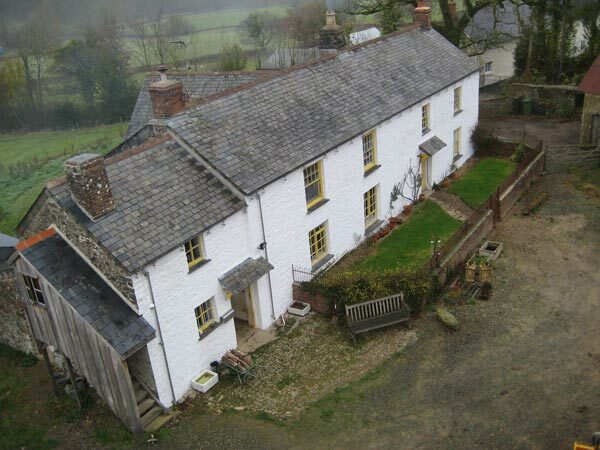 About South Yeo Farm West, Devon, a few miles from Dartmoor. 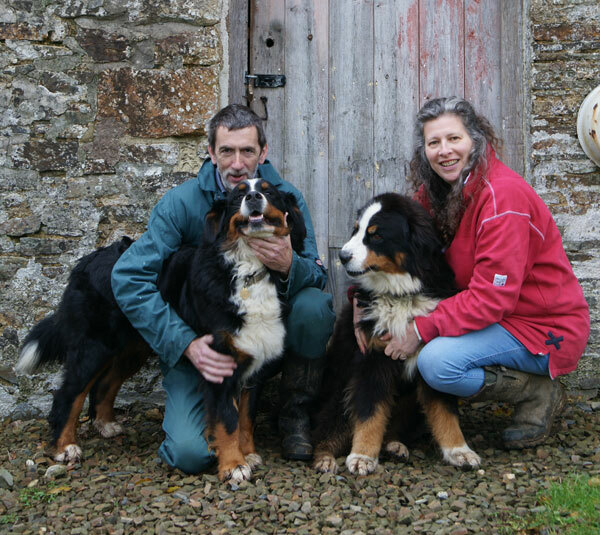 We are Debbie Kingsley and Andrew Hubbard and we live and farm at South Yeo Farm West in Devon, a few miles from Dartmoor, just outside the village of Northlew in the Culm. The farm has over 100 acres of permanent pasture, with a well-preserved medieval field system, the curving, irregular field boundaries based on early medieval strip cultivation. There is an ancient woodland of about 5 acres (a County Wildlife Site), small areas of oak copse, and a mill leat fed by the River Lew running the length of the northern boundary. A traditional cider orchard still exists on the farm, visible on maps from the 1880s. We’re not self-sufficient – we haven’t been able to grow coffee, bananas or toilet paper – but we are low-impact, very self-reliant and spend time enjoying our produce, cooking, baking and preserving, much of which we serve on our smallholder training courses. The farmhouse is a cob and stone cross-passage house and a designated Listed Building (Grade II), thought to be at least early 17th century in date with earlier origins, the farm buildings constructed in the later post-medieval period (C18th and C19th). 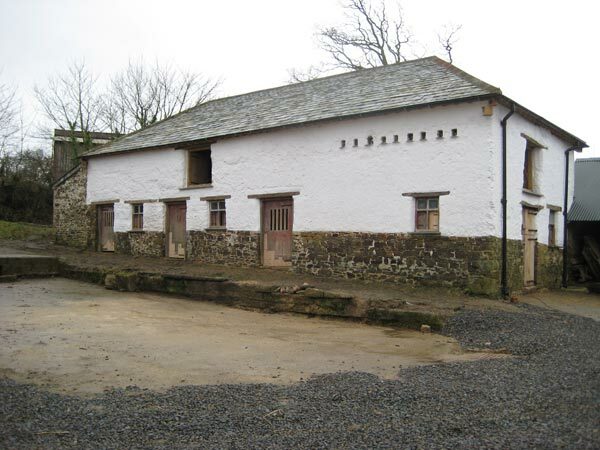 When we arrived in 2005 the farm buildings, Devon hedges and fencing were in various states of disrepair, ranging from barns in absolute dereliction to slumped earthbanks, neglected hedges and saggy livestock fencing. The wood was open access to sheep and cattle, and much of the perimeter was open to the neighbours, which was neither good for them or us. We started to plan for what we thought was a 25 year project to get the farm into good environmental and physical repair – most of it has been achieved in a decade. As well as working on the farm, Debbie is a consultant and trainer working in the arts sector. 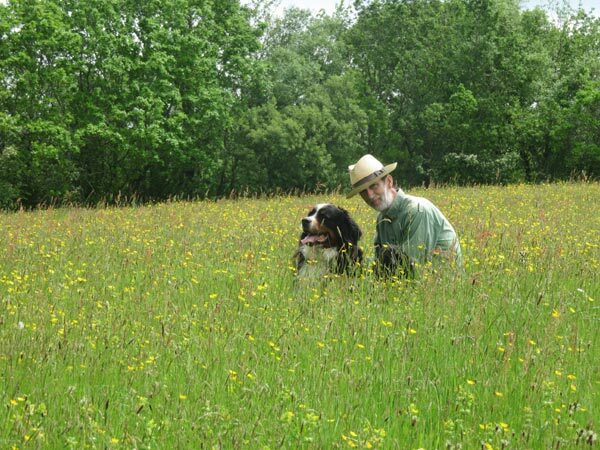 She’s a regular contributor to Country Smallholding magazine and Home Farmer, and for three years wrote a regular column in The Landsman. Debbie lectures on smallholding at Bicton College for the charity HighGround that supports military veterans into land based careers. Andrew works full time on the farm, co-delivers the smallholder training with Debbie, makes all kinds of things out of wood including oak furniture, conservation boxes for bats, dormice, owls and other flying things, and is an avid baker. Please note that the farm is not open to the public, but we are happy to show customers around by appointment and when picking up livestock or other goods, and if you come on one of our smallholding courses you’ll get to know the farm pretty well. Our farm is the home of the Yeoman herd of pedigree Berkshire pigs, the Kington flock of pedigree Welsh Mountain Badger Face sheep (both Torddu and Torwen), the South Yeo flock of pedigree Whiteface Dartmoor sheep, Herdwick sheep and the South Yeo suckler herd of pedigree Red Ruby Devon cattle. We rear native, traditional and rare breed livestock, and in addition to the pigs, sheep and cattle we keep Aylesbury and Shetland ducks, Black Orpington large fowl chickens and rare Pilgrim geese. For six months of the year we rear a small number of Norfolk Black turkeys, and have been known to keep Boer goats. and we use vaccinations and other medication only where necessary as part of our animal health plan which is reviewed at least every year to ensure that we are doing what is best for the livestock. The cattle overwinter in barns that are mucked out daily, so our cows are exceptionally clean and have deep straw beds to rest on. They eat hay or haylage grown on the farm, have constant access to water and rock salt and are given natural seaweed mineral supplement. From Spring to late Autumn they live out at pasture with their young. Our calves are naturally weaned by their mothers at around eleven months of age, about a month before the cow is due to have her next calf. As we don’t separate the young from the herd, it’s absolutely stress free. Our pigs are free range and live in straw filled arks, but we do bring them into a barn if the winter months are exceptionally wet as those conditions are not beneficial to the pigs or our land. Piglets never have their tails or teeth cut, nor are they castrated, and are weaned at eight weeks when they are strong and active, allowing the sows to maintain good condition too. Lambing is delayed until mid March so that the lambs and new mothers have access to fresh spring grass, and to avoid freezing winter nights in the lambing shed. Our lambs are fed solely on their mother’s milk and grass, which results in slow maturing, excellently flavoured meat. As hardy animals with a low stocking ratio, our sheep are naturally well covered and don’t need concentrates to bulk them up. Hard feed is only given to the in-lamb ewes for the weeks leading up to lambing and for a short while after in the early stages of producing milk. Antibiotics are only used where an individual animal’s welfare means treatment is necessary. Our poultry and wildfowl live outdoors with roomy, secure, straw filled housing at night – the quality of their meat and eggs are second to none. We sell meat from animals born and reared on our farm, so you can be sure of its exact provenance. Our lamb, hogget, mutton and beef are all entirely naturally grass fed, reared on diverse wildflower-rich pastures that are farmed for the benefit of wildlife as well as our livestock. Slow grown, real food, from rare and native breds all chosen for their natural hardiness and amazing taste. Our meat is couriered fresh in chilled polyboxes direct to your door, or can be collected. Contact us if you want to be put on our mailing list to be alerted when we have fresh meat available.